This free-standing quad-monitor stand saves you valuable desk space and boosts productivity, by creating a more comfortable and ergonomic workspace. 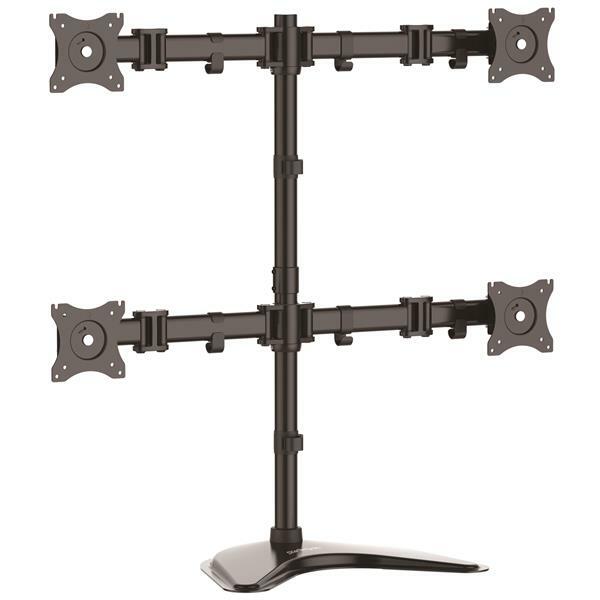 Constructed of steel and aluminum, the robust monitor stand suspends up to four monitors above your desk or other work surface. Clear up your desk surface and enjoy an ergonomic workspace. 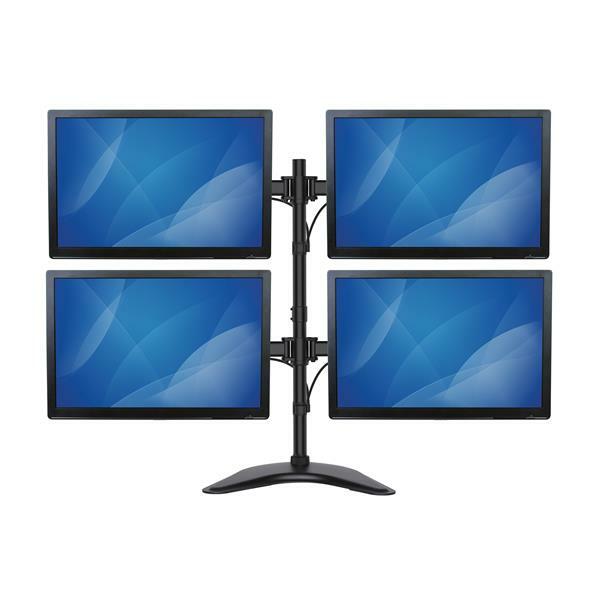 This computer monitor stand supports four displays that are each 13” to 27” (330 to 686 mm) in size and up to 17.6 lb. (8 kg) in weight. 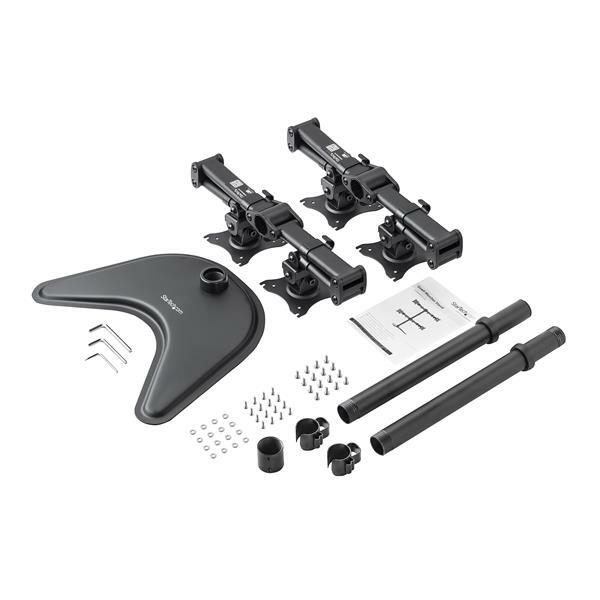 With its dual-crossbar design, this monitor stand lets you mount four monitors onto a single base that rests on your desktop. This gives you more surface area on your desk for personal devices or for physical tasks like reviewing paper documents. And, adding extra monitors gives you ample screen space to simplify multitasking -- using four displays makes it easier to reference material on several screens while working on another, saving you the time and hassle of having to flip back and forth between documents. 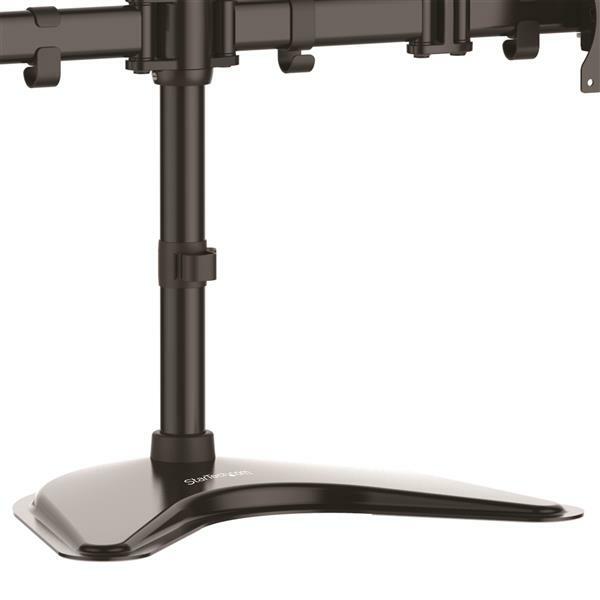 The monitor stand enables easy adjustment of your screen position, with +45°/-45° swivel, +45°/-45° tilt, and full 360° rotation. 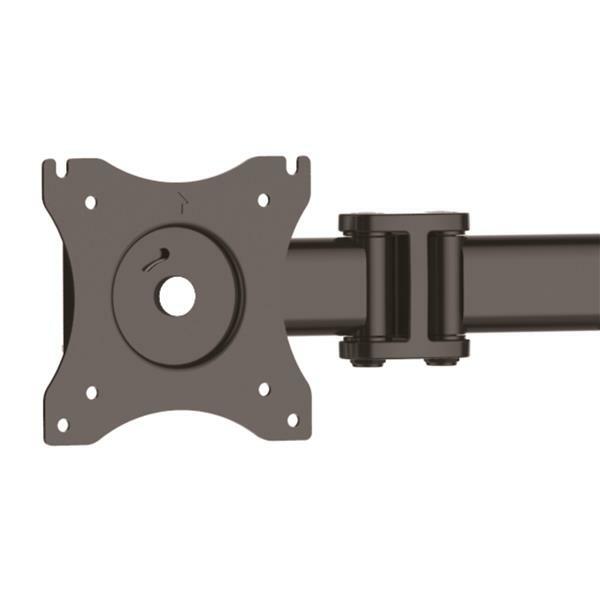 The structure offers smooth, effortless rotating and positioning in any direction, so it's easy to reduce glare and find the ideal viewing angle. 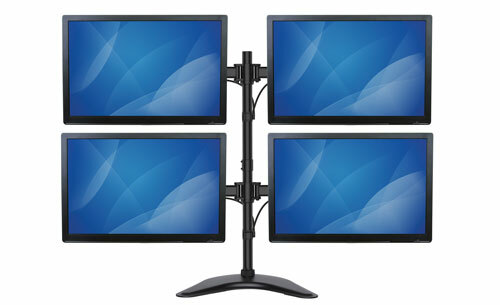 The micro-adjustment features enable the level alignment of your four monitors. 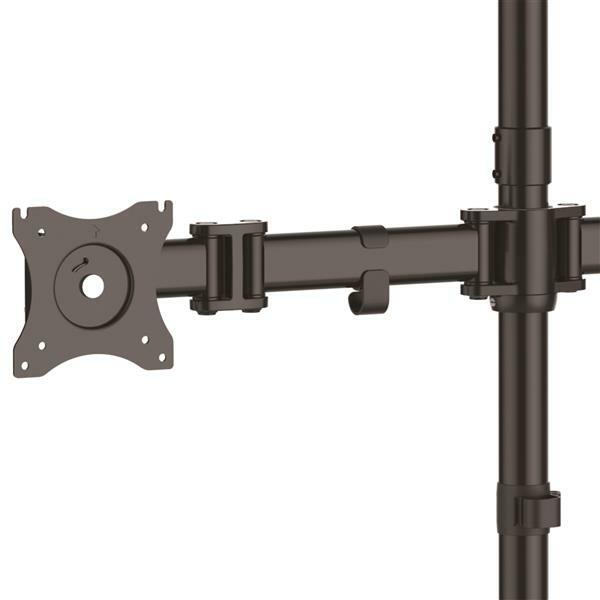 You can also adjust the height of the monitors along the 32.2” (818 mm) pole. The ARMBARQUAD is backed by a StarTech.com 5-year warranty and free lifetime technical support.